I know some people don’t want to stuff it and others don’t know how. If you are part of the group that doesn’t want to you really shoul find out what you have been missing! 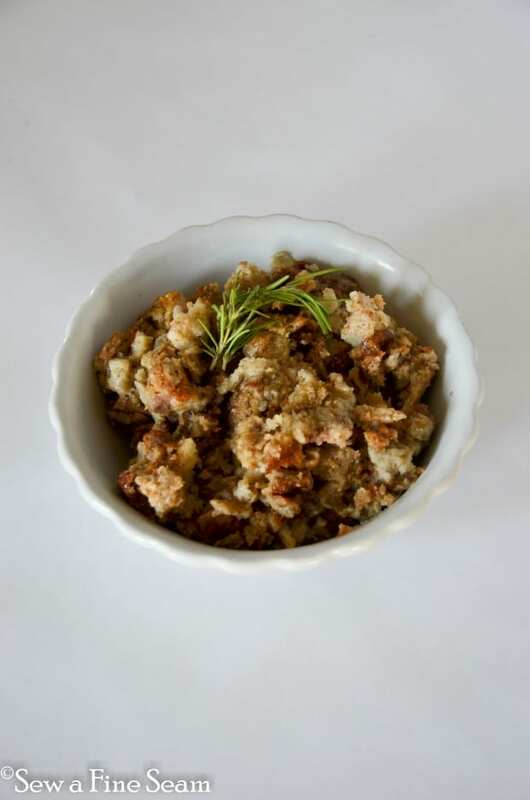 And if you are among the group that doesn’t know how, you can now leave that group and join me in stuffing your turkey the next time you fix a turkey dinner with all the trimmings. And don’t forget the Cranberry Salad that is a must for every turkey dinner too! Tear your bread cubes up the night before you want to use them so they can dry out. 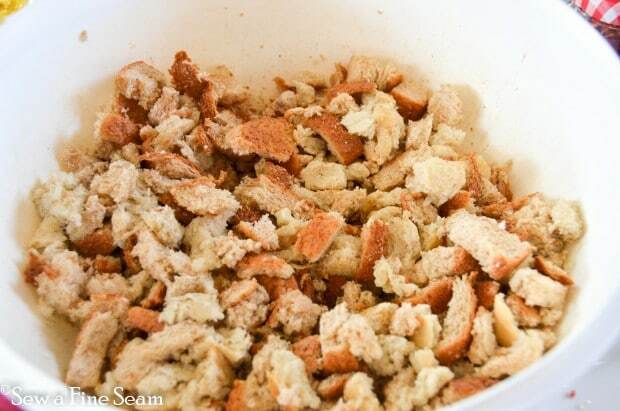 It does make better stuffing if the bread is dry. 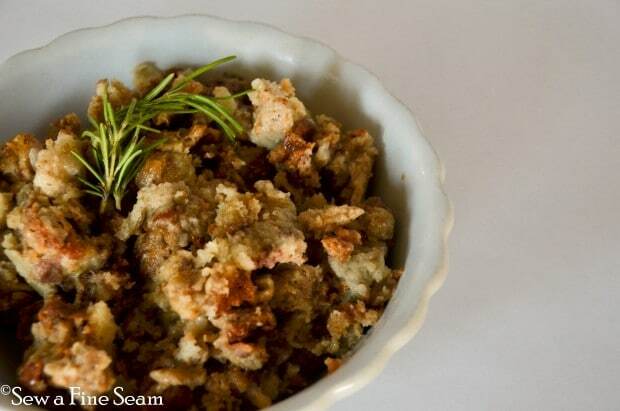 However it won’t ruin the stuffing if you forget to put the bread out to dry. It can be used straight from the bread sack. Don’t ask me how I know just know that it’s been tried and proven to work. It also works to save all those crusts your kids never want on their bread, freeze them and get them out for stuffing a turkey. Don’t ask how I know that works either. 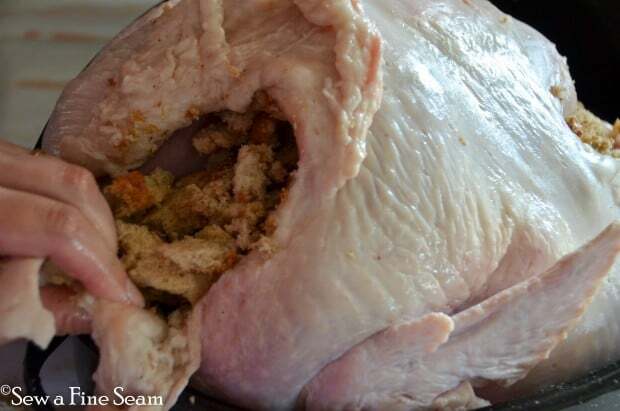 Mix your stuffing – recipe at the bottom of post – and stuff into the cavity of your bird. Stuff it full and pull the skin back around as much as possible. Tuck it all together as much as you can – my Mom has some metal baking pins she uses to pin it all together. Stuff as much in the smaller cavity at the other end too. 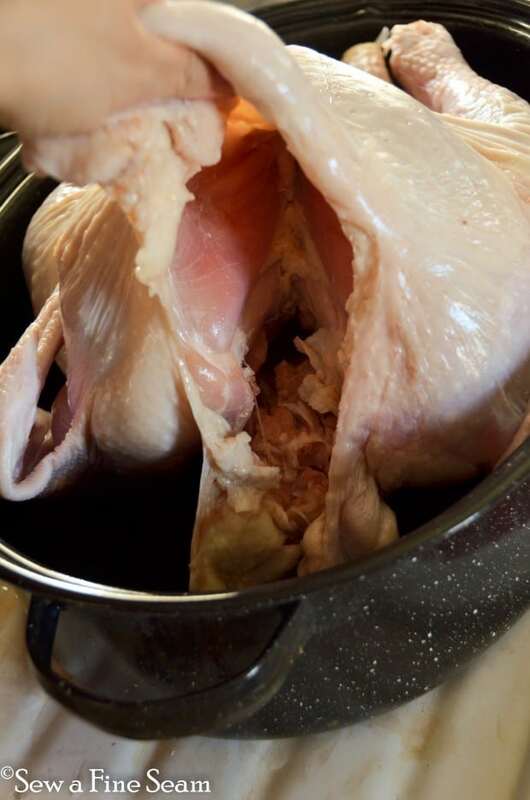 Stuff it in and tuck all the skin back over it – now your bird is ready to bake. Bake till the pop-out button pops or till done. Usually around 3 to 5 hours depending on the size of turkey. 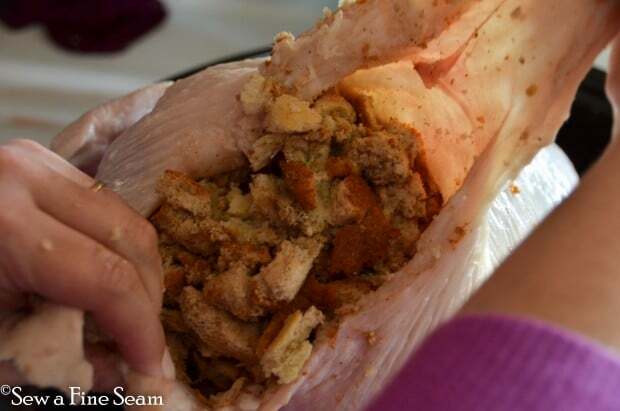 This amount of stuffing filled about a 10 pound bird. 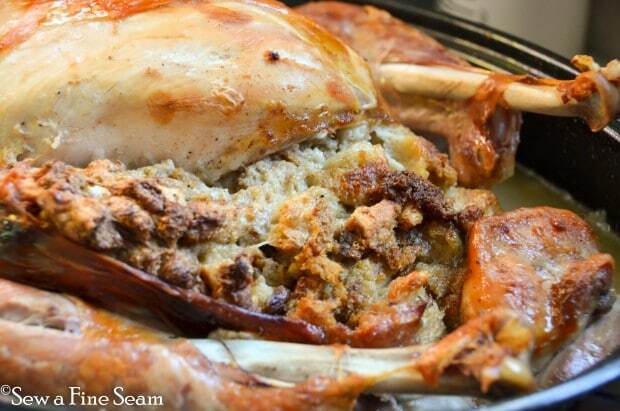 Admire the delicious stuffing all golden brown and ready to eat when the bird comes out of the oven. Serve with turkey, mashed potatoes, gravy, green bean/corn casserole, cranberry salad, rolls, and finish off the meal with pumpkin pie. Combine dry ingredients. Sprinkle over dry bread cubes. Toss with enough liquid to moisten bread slightly. Stuff into turkey and bake till turkey is done. 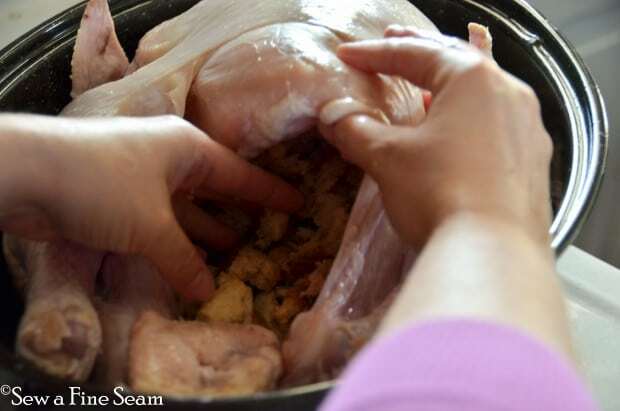 Do you fix a turkey dinner for the Christmas holidays or is strictly for Thanksgiving? My family has always stuffed the turkey, and I too was surprised when I saw other cooks not do that. I think the dressing tastes much better after it is cooked in the turkey. My family always cook the giblets, and the neck to use the broth in the gravy. I always watched my Grandfather eat the neck after it was cooked so I learned to do that too, if you add a little salt to the water, the neck tastes even better. I even dice up the liver and heart, very small pieces, and add them to the gravy, great way to get protein into my greandkids. Great pictures in your demonstration.